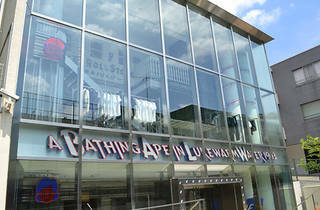 BAPE STORE(R) Harajuku is situated behind Jingumae Primary School. The first floor features their women’s clothing lines, and the second, men’s. 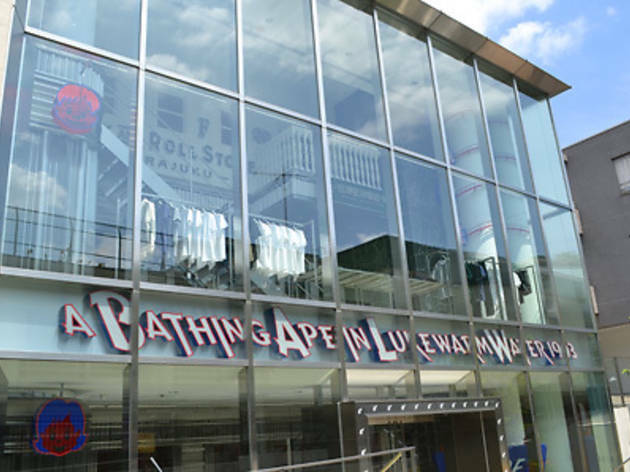 The third floor was refurbished in June 2010, and reopened as the new concept ‘shop-in-shop’ space Rock and Roll Store Harajuku, developing ever more diverse ways to enjoy the world of the internationally recognized Japanese clothing brand A BATHING APE(R).